Red Tiger Gaming has brought an exciting 5 reels 40 payline slot with an interesting theme of Mexican day of the dead. The stake starts with 20p per spin and you can play this game on all the devices. 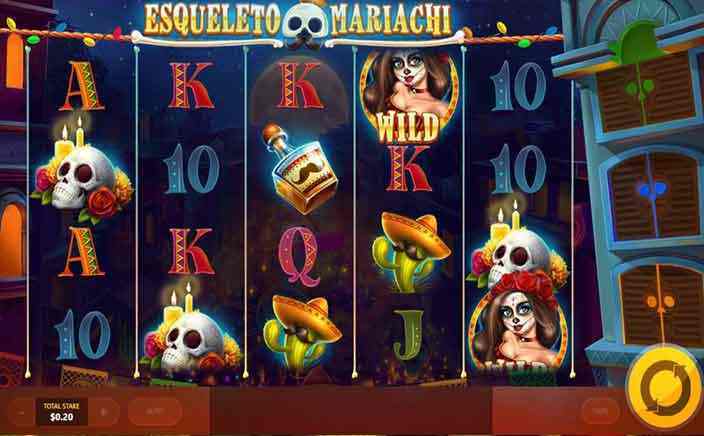 Esqueleto Mariachi offers 3 different features like free spins and random Mariachi with extra wilds that can make you win up to 1000 times the stake. It’s time to celebrate Mexico’s day a little differently with the band of dead musicians. The slot game is developed for all types of devices. The stake per spin starts as low as 20p and the players with deep pockets can increase the stake up to £500. Esqueleto Mariachi features the mysterious slots symbols like skulls, tequila bottles and cactus plants alongside the play cards from A to 10. The mysterious lady with the mask is the wild, and she replaces all the other symbols. If that happens, you will pocket 5, 12 or 25 times the stake when you get 3, 4, or 5 of them on the same payline. Esqueleto Mariachi offers 3 various features to help you win more prizes. These features are offered to you in an interesting way. From the right side of reels, 3 Mariachi musicians will walk out of the doors randomly to offer you the extra modifier. If you get a guitar player, the Guitarrista feature will be activated and you will get the extra wild symbols when the player strums his guitar. The dapal trumpet player activates the Trompetista feature by blasting the reels. The new symbols replace the old ones on the reels and new winning and payout combination will be formed. Maraquero feature is the next one in this slots game. In this, the maracas player forms new combination by nudging the reels. The best part of Esqueleto Mariachi is you are sure to get each of the above features at least once and get the chance to win big. Other than these features brought over by the musicians, there’s one more feature that wins you the free spins. Mariachi free spins feature is triggered when you land 3 of the free spins symbols. 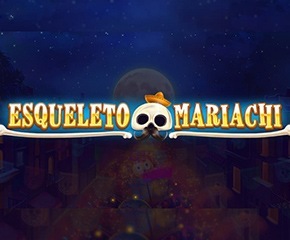 Just like the other games from Red Tiger Gaming, Esqueleto Mariachi is an exciting and fun game with a unique theme. And the big payouts from the Mariachi features bring the players the satisfaction they are looking for.